On a good day, it can be difficult for parents to understand their teenagers. The teen years can be a mix of intense emotions, physical changes, peer pressure, and hormonal overload that can leave teens feeling like visitors in their own bodies. Lacking the emotional maturity and coping skills to deal with this onslaught, some teens turn to cutting and other destructive behaviors for relief. For parents everywhere, this terrifying trend is impossible to understand. To help, here are the basics. Any behavior that involves deliberately inflicting injury on your own body is considered self harm. This includes behaviors like cutting, head banging, and burning. Teenagers use these behaviors as coping strategies to deal with intense emotions that they don’t know how to handle. It is important for parents to understand that self harm behaviors are not suicide attempts, although they can be a cry for help. Common forms of self harm include severe scratching, cutting, poisoning, carving into skin, hitting, piercing the skin, biting, and burning. It is common for people who self harm to use more than one method to cause injury. The most common locations for self injury are those that are easily reached including legs, arms, and the front of the body. For some teens, self harm provides a respite of some sort. It may be an outlet for intense emotional turmoil or it could offer a release of mounting tension. In some teens it even brings a sense of calm and quiet. Self harm can also be an expression of control in a world that feels completely of control or a distraction from emotional pain. Teens may use self harm as a way to release emotions, to give their internal feelings an external representation. In some cases, self harm is a cry for help, while in others it is simply a way to attract attention and manipulate other people. There is no specific condition that causes teens to self harm. While teens are the most prevalent sufferers, people of all ages may use self injury as a mechanism for dealing with difficult emotions. Self harm can also manifest in people who are suffering from mental illnesses like depression or eating disorders. Mental Health – People who struggle to manage negative emotions, have difficulty with impulse control, and who suffer from specific mental illnesses are more prone to self harm. Life Experiences – Teens who suffered abuse, neglect, or loss during their childhood are more likely than their peers to self harm. Most teens that self harm are secretive about their struggle because they are confused and ashamed by their own behavior. Signs to watch out for are scars, cuts, scratches, wounds, burns, and broken bones. Teens who wear long sleeves and pants in summer or claim clumsiness as the reason for their injuries may be trying to hide their self injuries. If you have a child that is harming themself, consult your medical practitioner and request an evaluation. These professionals can help guide you in raising the issue with your child and getting them the help they need. Psychotherapy is the most common treatment for self harm which may include individual counseling for your teen and family group. Everyone knows that teenagers often have bigger appetites because of their rapid growth. Teen athletes, who can burn through as many as 5,000 calories a day, need even more food than their peers. If they don’t get enough calories it affects their energy level and can impact their athletic performance. In some cases, insufficient calories may even cause problems with their overall growth. But it isn’t enough for teen athletes to eat enough calories; it is also important that they are taking in the right mix of nutrients and have a relatively balanced diet. Parents can help support the nutritional needs of their teen athletes by starting each day with a healthy breakfast. Have carbohydrate and protein filled choices such as whole grain bagels, peanut butter, eggs, yogurt and oatmeal available for a quick and healthy breakfast at home or on the go. Everyone needs to eat a balanced diet but for teen athletes this is even more important. Their bodies are still growing which means they need the right mix of nutrients to support that growth while also providing the building blocks to boost performance and repair minor injuries. According to KidsHealth.org, a teen athlete’s diet should be 60-65% carbohydrates, 12-15% protein, and 20-30% healthy fats. Each of these three is equally important to your teen athlete’s development and performance. Carbohydrates provide the main fuel source for their body, while protein helps build muscle. Fats like those found in avocados and fish are critical to athletic performance because they provide the fuel for sustained energy. Teen athlete’s need to pay particular attention to their water intake and be diligent about keeping themselves hydrated. Drinking water throughout the day as well as before, during, and after physical exertion is the best way to maintain the optimal level of hydration in the body. When teen athletes become dehydrated, they may feel more tired, have less energy, and be less able to perform as expected on the field. While there is no set amount of calories that all teen athletes need each day, the requirements are higher for teens that are active in sports or other physical activities. On average, teen athletes may need 2,000 calories more per day than their less athletic friends. The actual number is dependent on the person however and varies based on weight, sport, and age. The best way to determine the right amount of calories for your teen athlete is to work with a registered dietitian. One of the best ways to help teen athletes get the balanced diet and number of calories they need is to ensure they have healthy, energy boosting snacks available throughout the day. If your teen has practice directly after school they may be hitting their worst energy slump of the day just as practice is starting. Depending on what time lunch period is, it may have been 3 or more hours since their last meal and by the time practice is over, they may have gone for seven or more hours without anything substantial to eat. Pack snacks in their sports bag for before and after practice to ensure they have the energy to power through. Healthy and energy-boosting snack choices include nuts, dried fruits and fresh fruits and vegetables. By Rachel Daberkow, MS. RD. How Do You Know Your Teenager is on Drugs? As a counselor who works with teens and parents, this is one of the most common questions I am asked. Parents often struggle with this issue because the natural mood swings and personality changes that are a part of the teen years can make it difficult to determine if their child is acting normal or needs help. They are also hesitant to ask difficult questions because they don’t want to damage their relationship with their teen by accusing them of taking drugs. Maintaining a relationship built on trust can be an important part of successfully navigating the teenage years and it only takes one misstep to demolish the foundation of that trust. Parents may be hesitant to approach their teens when they are concerned because they don’t want to alienate them or push them further away. In order to know when to be concerned, when to ask questions, and when to intervene, you need to know the facts. Here are the common signs of teenage drug use. One sign that parents should be watching for is a significant change in their child’s friends or social circles. If your teenager has been friends with the same kids since elementary school and suddenly shifts to an entirely different set of friends, this may be cause for concern. First, look for other factors like joining a new club, or playing on a sports team that may explain an influx of new friends. Changes in social circles or standing by themselves are not always indicative of drug use, but parents should pay attention to these types of changes as they can point toward several teenage problems. Another thing to watch for is the development of a negative attitude about school in general. This includes spending less time and effort on school work and home work, skipping classes, and grades that are going down. When teenagers begin using drugs, they often become more secretive and are touchier about privacy and having their own space. Signs of these behavior changes include getting angry if you are in their room, unwillingness to let you borrow their cell phone, refusing to leave their backpacks or school bags where others could access them, or offering vague answers about where they are going and who they are spending their time with. If your teen suddenly develops the need to burn incense or use room deodorizer on a regular basis, but doesn’t seem more concerned with cleaning their room, they may be trying to hide the smell of smoke or other odors. Intensified use of body spray or perfume is also a sign that something may be amiss. One indication that your teen may be using drugs is an increased need for money. This may be evident because of an increase in their requests to borrow money, offers to work around the house for cash, or money disappearing from purses and wallets. Teens that become suddenly invested in selling or pawning things like video games and other electronics may also have a problem that needs parental attention. Parents and their involvement in their teenager’s lives are still the best deterrent to drug use. Providing a supportive environment with clear expectations helps set the stage for drug-free teen years. But it is equally important to know the signs that your teen is in trouble and how to help them through whatever problems they are facing. 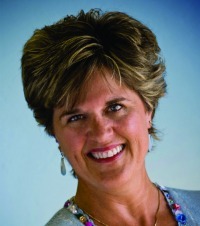 Trina has over 25 years’ experience in office management services. She has been involved in adolescent and women’s ministries through her church and Young Life throughout her adult life and brings a gift of compassion to her work at Doorways. Every parent who has ever had a teenager understands this feeling. It is a topic I get asked about a lot and a frequent topic in family therapy. As teenagers grow, one of the fundamental changes they are making is the formulation of their own identity, separate and distinct from that of their parents. In former centuries, this change more closely coincided with actual changes in circumstances as well, like getting married, striking out on their own, or taking on more adult responsibilities. Even so, there were probably quite a few shouting matches and just as much misunderstanding between parents and their teenagers as there is today. Communication is the key to helping our teenagers navigate the often rocky path between childhood and adulthood. Unfortunately, the very nature of that change creates significant challenges and barriers to communication. In order to keep the communication channels open, parents need to take charge of keeping them clear. Here are 6 things that will help you communicate better with your teen. Remember that there is more to communicating than just the words that come out of your mouth. Your teenager is attuned to the subtle and silent messages you send with your body language and the tone of your voice. If these messages don’t match, your child will interpret what they think you really mean and respond accordingly. Most teenagers have heard what you are about to say a hundred times. They can tell by the circumstances, your body language, and the tone of your voice what is coming and if it is old news or an unwelcome message, they may tune it out. Pay attention to all the messages you are sending and look for ways to impart the same message without wandering into a well-known battlefield. Communication is not just about talking or educating the other person or convincing them that your point of view is right. Communication is about a two-way exchange. You need to learn to listen, to truly listen, to what your teen is saying before you can learn to communicate with them. Too often, parents tune out their kids as well, only hearing the things they want to hear or using the time their child is talking to think about what they are going to say next. Listening to your teenager is the most empowering thing you can do. Trust in the foundation you provided them and give them room to make choices, fail, and then learn from their mistakes. Believe in the guidance and education you instilled in them. Don’t lecture. Focus on listening and allow them to make decisions for themselves. Bolster their belief in themselves by showing them you believe in their ability to make good decisions. One of the reasons teenagers feel so misunderstood is that their lives, bodies, hormones, and relationships are in a constant state of flux. You can help them through these challenges by providing validation that they are OK, that they are good people, and that what they are going through is normal. To do this, you must be curious about their lives, ask open-ended questions, and then listen to what they have to say. But you must only be an observer; you cannot force openness and you shouldn’t use curiosity to spy or pry into their lives. Remember that your child is not you. If you have issues to work through, take the initiative and work through them yourself, don’t assume your child is going down the same path you did or that they will make the same mistakes you made. You don’t want to limit their freedom to find their own path, make their own mistakes, and learn to live with the consequences that result because of your own fears or guilt about your past. The healthier you are, the better you are able to let go when you need to. Jan is a nationally Board Certified Psychiatric Nurse Practitioner who specializes in adolescent treatment. 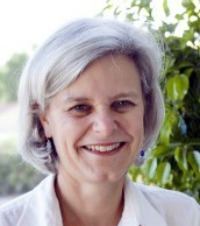 She earned her Master’s of Science and Psychiatric Nurse Practitioner certification through the University of Arizona. She then worked for over eight years at Remuda Ranch providing inpatient services for adolescents and adults suffering from eating disorders. Jan has been a registered nurse for 31 years and worked in a wide variety of medical settings, including 30 years of serving young people through her work with Young Life, an interdenominational outreach program. Her desire to provide quality psychological and psychiatric care for adolescents and young adults in an outpatient, faith based setting has led to the opening of Doorways in 2008.